Thanks for supporting the IBMA Foundation! We appreciate your help in building the future of bluegrass music! OR here through our profile page with The Community Foundation of Middle Tennessee. Click here to read the April 2019 issue of our monthly e-newsletter, The Cornerstone. Email our editor at info@bluegrassfoundation.org for a free monthly subscription to The Cornerstone! Click here to read about the 2019 IBMA Foundation grant recipients! Click here to read about our collaboration with The Community Foundation of Middle Tennessee. What is the IBMA Foundation? Created in 2007, the IBMA Foundation is a non-profit charitable organization (501c3) created to serve as an umbrella under which funds can be placed and disbursed to support bluegrass music-related educational, literary, artistic and historic preservation activities of public benefit. Donations may be designated to create or sustain a particular program or may be unrestricted. By combining your donation with the gifts of others, the legacy of bluegrass music and your contribution grows and has an even greater impact. • And other works of a charitable nature. How is the Foundation different from other non-profit bluegrass organizations? The IBMA Foundation raises, manages and distributes funds to ensure the future of bluegrass music through educational, literary, artistic, historic preservation, and related activities. 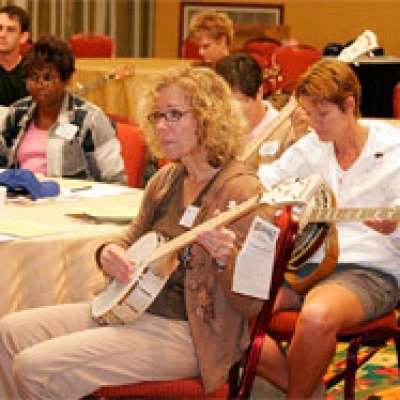 The International Bluegrass Music Association (IBMA) educates, connects, and empowers bluegrass professionals while raising the appreciation of bluegrass music worldwide. The IBMA Trust Fund offers financial assistance to bluegrass music professionals in times of emergency need. The Bluegrass Music Hall of Fame & Museum, located in Owensboro, Kentucky, collects, displays, and interprets the history of bluegrass music and houses the Bluegrass Music Hall of Fame. Bluegrass College Band Showcases, the Foundation for Bluegrass Music Higher Education Forum, and a Bluegrass College Symposium Luncheon, all held during IBMA’s World of Bluegrass week in Raleigh, NC. 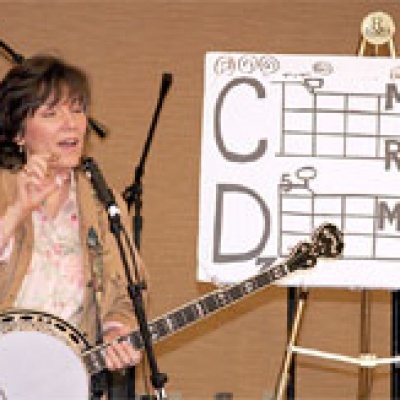 Grants to many more programs, as well as $300 mini-grants that help to fund dozens of live, in-school bluegrass presentations by regional and national bands reaching thousands of students, grades K-12. CLICK HERE to Make a Donation to the IBMA Foundation via PayPal. CLICK HERE to Make a Donation to the IBMA Foundation via our page with The Community Foundation of Middle Tennessee. All gifts – no matter the size – are acknowledged and are tax deductible as charitable donations. Consult your tax adviser for details on the benefits of charitable donations and estate planning. Make a commitment today to “play the music forward” with a gift to the IBMA Foundation!